The Ford Expedition is a full-size sport-utility vehicle. It seats up to eight people, hauls a mountain of gear, and can tow trailers in the 9,000-pound range. When equipped with four-wheel drive, the Expedition will get there whether the road is dry, wet, snowy, or even when there's hardly any road at all. The cabin features rich materials and generous space in all three seating rows. The second- and third-row seats fold flat to create a useful rear cargo area. Extended-length Expedition EL models add even more cargo-carrying capacity, especially noticeable when trying to load groceries or gear behind the third-row seats. Thanks in part to independent rear suspension, the Expedition offers a smooth ride that is more car-like than most big, truck-based SUVs. That's nice on long drives. With its combination of utility, a smooth, stable ride and a pleasant interior, the Ford Expedition is a fine choice for families that tow or take driving vacations. Ford's 5.4-liter V8 powers all models. 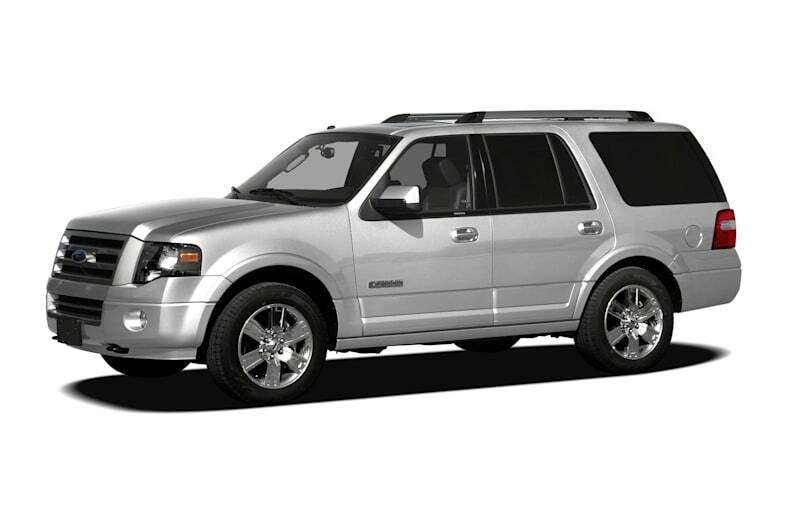 There are few changes for 2011 Expedition models. Expedition was last redesigned for the 2007 model year. The Ford Expedition comes in two lengths, the standard model with a 119-inch wheelbase, and the Expedition EL with its 131-inch wheelbase. Every Expedition is powered by a single-overhead-cam 5.4-liter V8 rated at 310 horsepower and 365 pound-feet of torque. A 6-speed automatic transmission is standard equipment. Every Expedition model is available with either rear-wheel drive (2WD) or electronically engaged ControlTrac four-wheel drive (4WD) that can be driven on dry pavement and includes low-range gearing. Four trim levels are available: The XL, the upscale XLT, the luxurious Limited, and the top-of-the-line King Ranch. All Expedition models include AdvanceTrac electronic stability control system with Roll Stability Control (RSC), including standard Trailer Sway Control that detects trailer sway motion and takes corrective measures to bring both the vehicle and the trailer under control.